In December 2010, the law changed so that only counsellors and psychotherapists registered as an adoption support agency (ASA) with Ofsted are able to offer specialist adoption services. Time to Listen is now registered with Ofsted in order to provide this service and comply with the law. These amendments to the Adoption and Children's Act of 2002 were designed to ensure that the one in four UK individuals affected by adoption in some way, are provided with support and services from practitioners who hold the proper qualifications and experience. As a result of this legislation any counsellor working with a client were any aspect of adoption is the main focus must be an Approved Adoption Counsellor, registered with an adoption support agency. 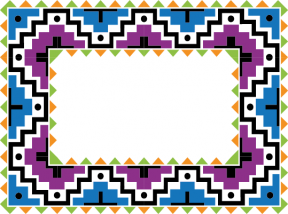 All Approved Adoption Counsellors for Time to Listen have a certificate with this border, taken from a traditional Navajo Indian decorative motif. The Navajo were and are family orientated and, "Navajo spiritual practice is about restoring balance and harmony to a person's life, to produce health”. The information provided meets the requirement of the National Minimum Standards for Adoption, and the related regulations (Voluntary Adoption Agencies and Adoption Agencies (Misc. Amendments) Regulations 2003). Time to Listen is a ‘not for profit’ limited company, established in July 2013, specialising in working with Children, Young People and Families with wide ranging issues, such as emotional/sexual/physical abuse, attachment disorders, separation, loss, sexual exploitation, suicidal intention, self-harm, bereavement, anxiety, depression to name but a few. Our income comes from providing services for looked after children, vulnerable children, young people and families, schools and private referrals. In addition, we also provide free access to our wide range of therapeutic interventions, by way of grant funding when available, to those unable to access counselling and therapeutic services in any other way. Time to Listen is here to help you talk about your feelings, thoughts and troubles and help you make good choices for yourself. Your counsellor will listen to you in a way that does not judge you. They will not take sides or tell you what to do. If you come to see them on your own they will not go straight to your parents or guardian and tell them what you have said. Sometimes it is hard to talk about your worries so they can find different ways to help you explore what life is like for you at the moment. They can help you to make your own choices and decisions. Counselling is about understanding, acceptance, support, choice and change. Once we know that you need help, either because your parents have contacted us, or someone else, such as your school, we will make an appointment for you to see one of our special counsellors quickly, usually within 10 working days. If you are going to come with your parents, we may see them first to help them understand what they will need to do in the session in order to help you better. Meeting your Counsellor - When you first meet your counsellor they will explain what counselling is all about, what they will and won’t tell others, ask you what you would like to get from coming to see them, what goals you would like to have reached when you finish therapy. All this the counsellor will do in a kind, understanding, non-judgemental and accepting way. Usually you will see your counsellor every week for about 50 minutes, at the same time on the same day for an agreed number of times. Choice of Counsellor - Occasionally the first counsellor that you meet may not feel right for you and it is important that you tell us as quickly as possible so that we can find another counsellor who will suit you better. If you can’t tell us then please tell your parent or guardian so they can let us know. Please don’t think you will be in trouble as it is really important that you like the counsellor and feel that you can learn to trust them if they are going to help you talk about your feelings and maybe reach your goals. End of Therapy - At the end of your time with your counsellor they will ask you to fill out a form about how much you think the therapy has helped you. You will also be asked to tell us what you have and haven’t liked about coming to see your counsellor and if you have any ideas that would make it better. Your answers will help us to know if we are doing a good job and hopefully give us some good ideas on how to make things even better. This information will be shared with people who check up on us to make sure we are doing the best we can for you. Absences & Cancellations – It is really important that you meet your counsellor when you have an appointment but sometimes it is not always possible because you might be poorly. If you know you won’t be able to come please can you check that someone has let us know, the early the better. However, if your parent or guardian or someone else did not let us know please don’t worry as it is not your fault and you will not get in to trouble. If you have been sent to see us by an organisation, such as a school or a social worker, we may have to tell them if you have or haven’t come to your appointments as they may be paying for you to see your counsellor. Recording of Sessions – Sometimes we need to record some sessions but we will not do this without checking with you and your parents or guardian first and making sure that this is ok. However, if you are not happy for us to do this then we will not record the session. If you need more information about what we do there is a bigger booklet called the ‘Statement of Purpose’, which you are more than welcome to have a copy of, just let us know. Time to Listen will make all possible efforts into arranging for this Children’s Guide, and any other of their literature, to be read, translated or explained to whoever needs this service. For all enquiries about this service: Write to us: Time to Listen, Marvell House Children’s Centre, Cranbourne Street, Hull, HU3 1PP. Phone us: 07810503830 Email us: info@timetolisten.co.uk or visit the website: www.timetolisten.co.uk. Code of Practice & Complaints Procedures – Time to Listen has to follow a set of rules and regulations, which you can read if you want to either by going on our website www.timetolisten.co.uk or asking your counsellor to get you a copy. If you are not happy about the help you have been getting you can ask your parents or guardian to get a copy of our complaints form which will tell you how to let us or the British Association for Counselling & Psychotherapy (BACP) know about the problem. OFSTED (Office for Standards in Education, Children’s Services and Skills) inspect all adoption support agencies at least every three years. OFSTED ensure all adoption support agencies meet the National Minimum Standards of care.